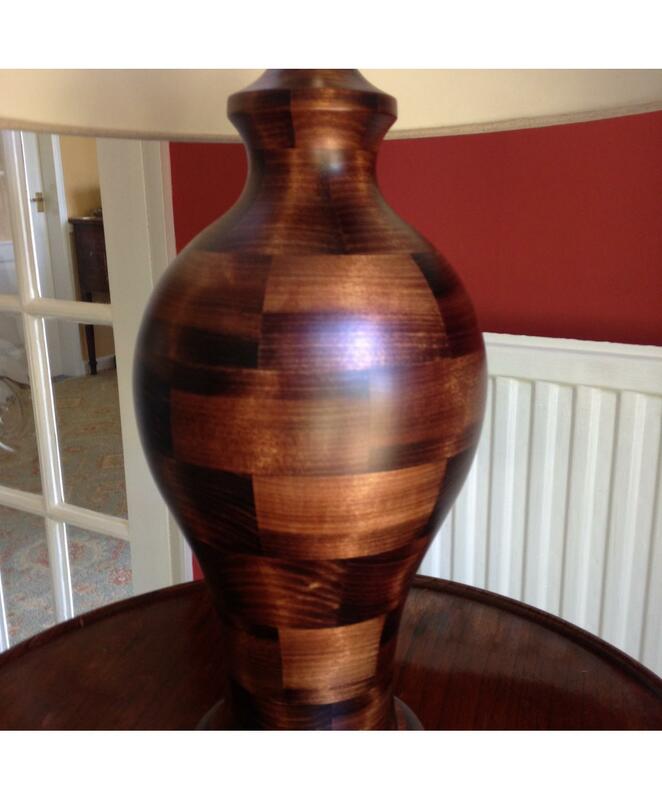 The Lamp Base is made from Tulip Wood and hand turned and beautifuly stained in Walnut, locally, the Shade is made in our workshop so all manufactured in England. 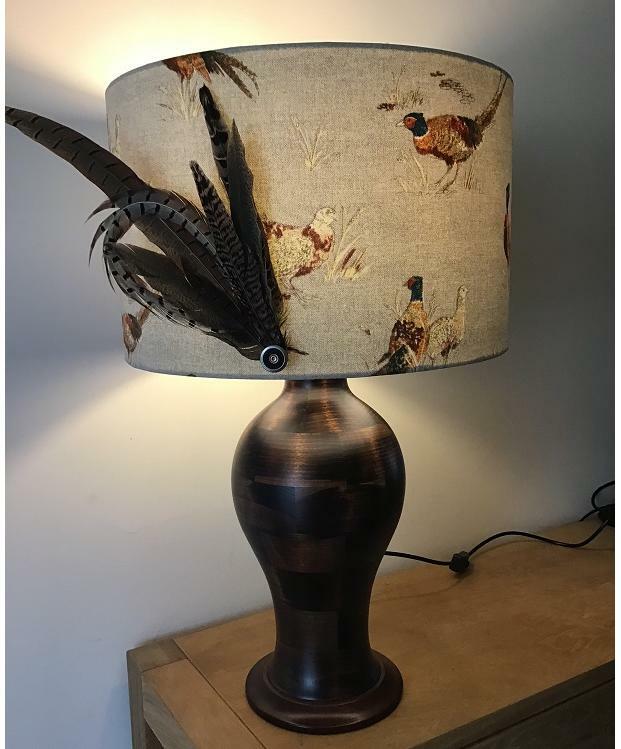 We have added Feathers with Cartridge Cap to the Shade to be a little different. This is not available to retail and wholesale stores at present.